Payment through Bank Deposit, Remittance, or Online Funds Transfer Pay via over-the-counter bank deposit, remittance, or online funds transfer to our Banco de Oro (BDO), Bank of the Philippine Islands (BPI), OR Metrobank account. Credit Card Payment via PayPal Pay via Paypal, using your credit card. Please note that if you do not have a Paypal account yet, you will be asked to create one in just two (2) easy steps. You will be redirected to Paypal's secure page and will see that the Seller's name is SmartMarket Ventures, Inc., the legally-registered corporate entity that owns PinoyInvestor. If you prefer to manually pay using your PayPal funds (instead of credit card), please email support@pinoyinvestor.com. 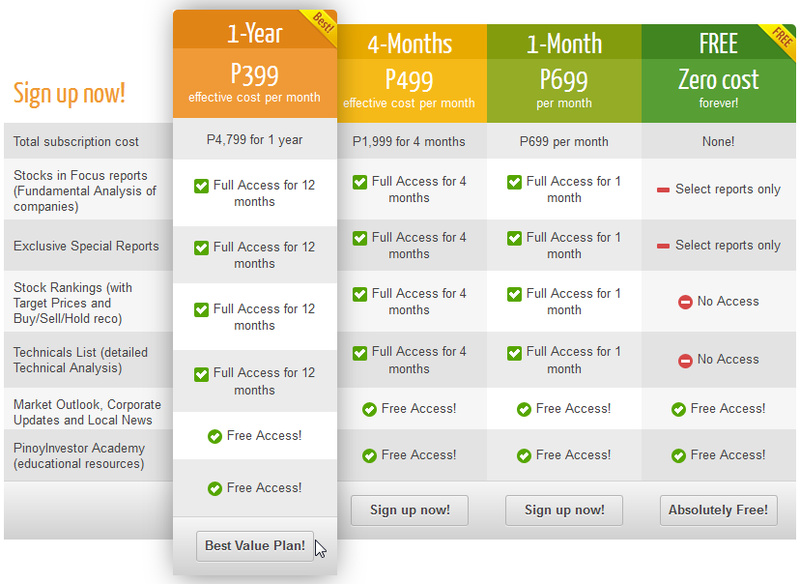 (c) 2014 PinoyInvestor.com. Be a smart stock investor!